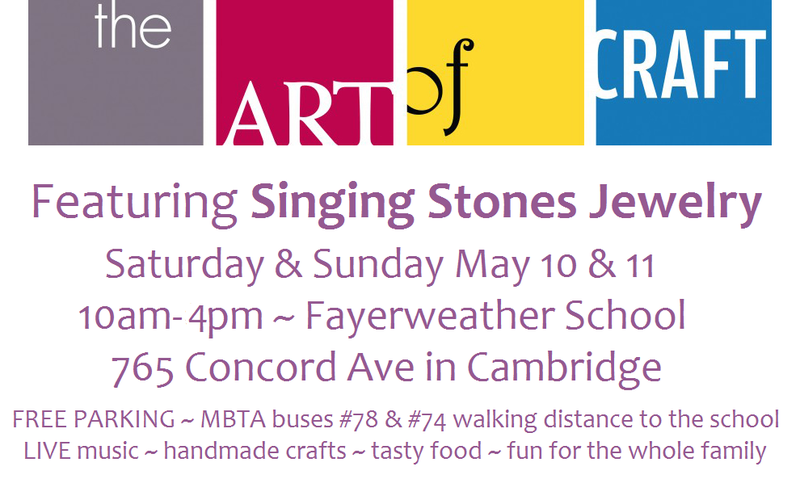 Singing Stones Jewelry will be a featured vendor this weekend at The Art of Craft at the Fayerweather School in Cambridge. This is a fundraising fair for the arts programs at the school. There will be live music, food, and lots of handmade pieces by craftspeople from all over the region. Please come and bring the whole family. Admission is $5 per person with a maximum cost of $20 per family. Parking is FREE and the school is located just off of Route 2 and also off of the Rt 78 and 74 bus lines.